A sculpture and naked-eye observatory, currently under construction by artist Charles Ross. At the center of the site, an inverted cone has been carved, within which a stainless steel tunnel will rise eleven stories and be placed exactly parallel to the Earth's axis. 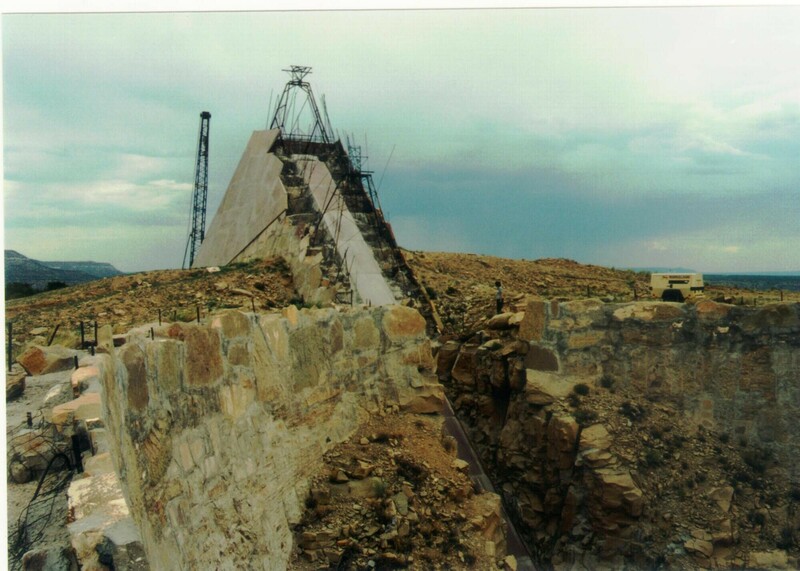 Inside the tunnel will be stairs which will emerge above the mesa through a granite pyramid. The work is intended to enable the viewer to walk through layers of celestial time, making directly visible the 26,000 year cycle in the earth's changing alignment with the stars. Construction continues.